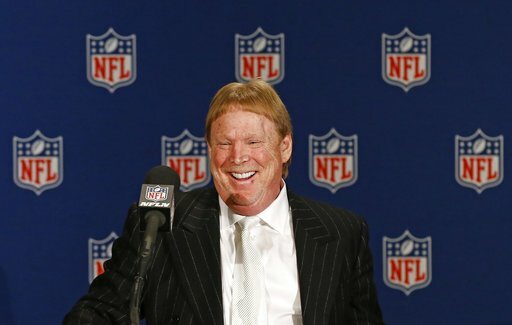 PHOENIX (AP) — Invoking his father Al’s name, and copying what the Hall of Fame owner did with the Raiders, Mark Davis is moving the franchise out of Oakland. 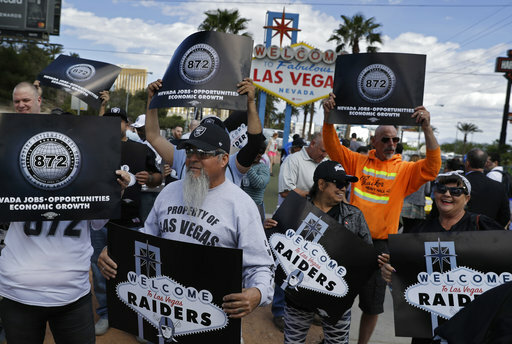 The vote was a foregone conclusion after the league and Raiders were not satisfied with Oakland’s proposals for a new stadium, and Las Vegas stepped up with $750 million in public money. Bank of America also is giving Davis a $650 million loan, further helping to persuade owners to allow the third team relocation in just over a year. Leaving the Bay Area is not something new with the Raiders, who played in Los Angeles from 1982-94 before heading back to Oakland. Davis was passed over last year in an attempt to move to a stadium in the LA area that would have been jointly financed with the Chargers. Instead, the owners approved the Rams’ relocation and gave the Chargers an option to join them, which they exercised this winter. Written by BARRY WILNER, AP Pro Football Writer. AP Sports Writers Janie McCauley and Josh Dubow contributed.